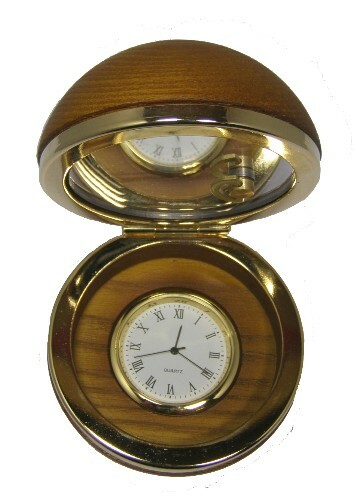 Petite wooden sphere, when opened reveals a clock and mirror. 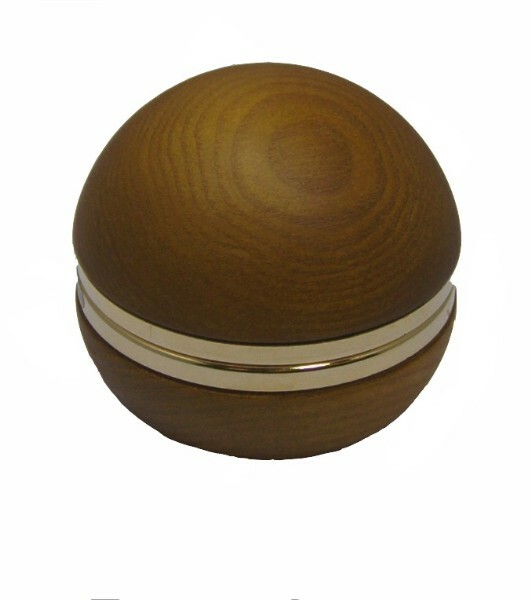 By Jobin of Switzerland, this beautiful wooden sphere when opened reveals a clock and mirror. The miniature movement is wound from inside via a small key and when the sphere is opened a weighted stopper inside releases the mechanism to start playing Mozart's "The Magic Flute". An unusal gift idea. 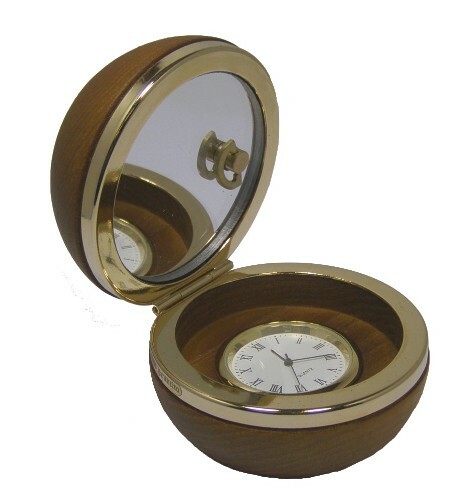 Please note the clock is quartz & battery operated - only the movement is clockwork wound. Colour : Light Brown (matt finish). Please telephone or email for further clarification.